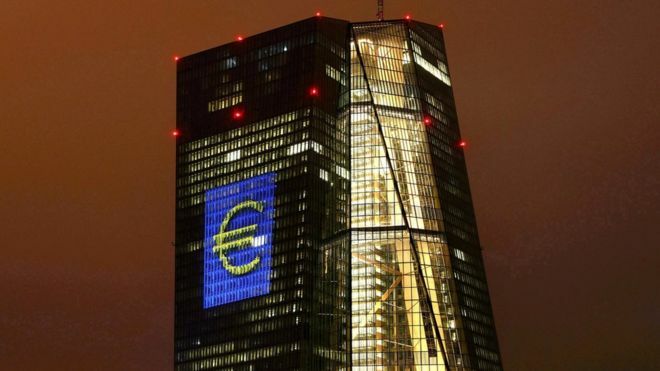 The European Central Bank (ECB) has raised its eurozone economic growth forecast for this year to 2.2%, the fastest growth in 10 years. ECB president Mario Draghi said the 19-country bloc grew faster than expected in the first half of the year. It came as the bank kept eurozone interest rates and its bond buying stimulus programme unchanged. Mr Draghi said the ECB would probably make decisions about its stimulus measures next month. 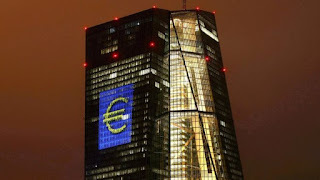 The ECB is currently buying 60bn euros (£55bn) of bonds a month as part of its quantitative easing (QE) programme. But analysts expect this to be scaled back in the months ahead given the eurozone's recovery.